Calling all chocolate lovers! We put together some of our favorite chocolate-themed recipes just in time for National Chocolate Lovers Month. Serve these recipes as part of a meal or individually. Any way you enjoy them, we know you’ll love them. 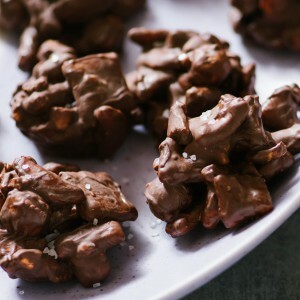 Start your meal with a little spice thanks to our Spicy Chocolate Crunch Clusters. The spicy cashews used balance well with the chocolate and when topped with some sea salt, creates a heavenly sweet, spicy and salty combo that can’t be beat. Use our Kiss and Tell Chili for your main course. 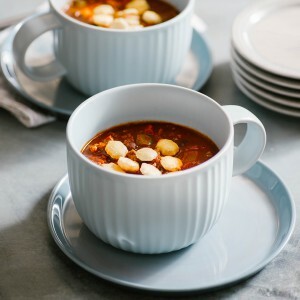 After bringing everything to a boil, you can have this chili on the table in less than two hours. 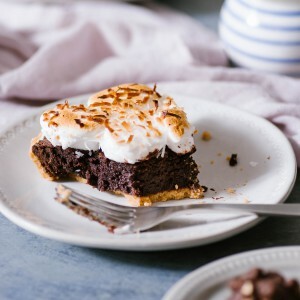 Bring everyone together with our Brownie Pie with Coconut Marshmallow Frosting. Get ready to serve guests more than one slice, because they’ll definitely ask for more! 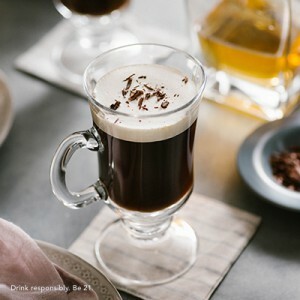 Cap off your themed meal with our Irish Coffee recipe. No matter when you’re serving this drink, it’s sure to be a hit. You can never go wrong by ordering one of our Chocolate Ganache Supreme Cakes from your local Bakery. 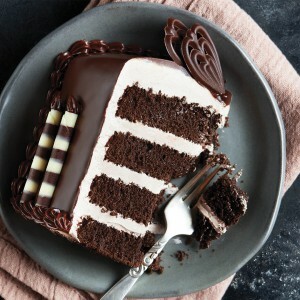 With four delicious layers of chocolate or vanilla cake, chocolate or vanilla whipped topping, and chocolate ganache icing wrapped with ribbons of fudge, this cake can complete any meal!